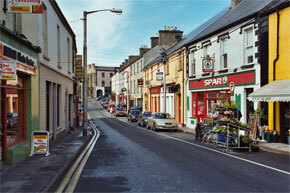 The town of Boyle is situated at the base of the Curlieu hills, and is one of the chief towns in county Roscommon. The town is rich in history as it is in modern day activity. As a large town, it has most of the amenities that you would need. Nearby Lough Key Forest Park offers beautiful walks and picnic areas, and many water orientated activities. 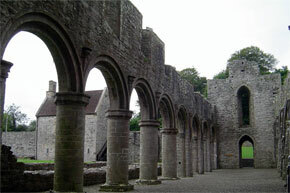 The dominant historical site in the area is the magnificent Boyle Abbey. Built in the twelfth century by the cistercians, this abbey is believed to be among the most interesting and well preserved in the country. The town was also home to one of the largest land owning families in seventeenth century Ireland. The King family lived in King house, which has recently been restored and is open to the public. The King family later moved to Rockingham, now known as Lough Key Forest park. Lough Gara is one of the main bream waters in the area, with many catches of over 200 pounds reported. There is also good bank fishing for roach. 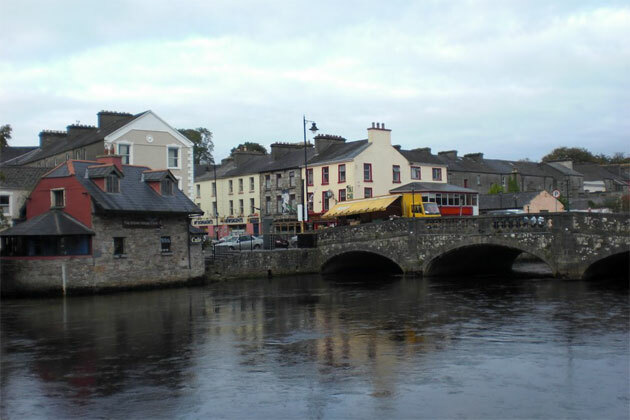 Boyle is known as one of the best fishing areas in Ireland. 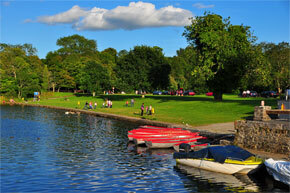 The three lakes - Lough Key, Lough Arrow and Lough Gara, attract international and local fishermen alike. The River Boyle fishes well in the early season for bream, roach and hybrids. King House was the home of the "Kings of Connaught", one of the wealthiest families in seventeenth century Ireland. The house became an army barrcks when the Kings moved to Rockingham, but has since been restored and now houses an exhibition on the King family in Ireland. Boyle Abbey was built in the twelfth century by the cistercian order, and exhibits several styles of archetcture from that period. The abbey was plundered by the Normans in the thirteenth century, and dissolved in the sixteenth century. Cromwellian sodiers inhabited the building in the seventeenth century, and did considerable damage. Lough Key Forest Park was once home to the King family, but is now a forest park, ideal for picnics and walks, and the flora of the park is of interest. The Lough has many islands, and one has the ruins of a nineteenth century castle on the site of a much earlier castle.